I got my first honeybees this April. I was so excited to add honeybees to our homestead. 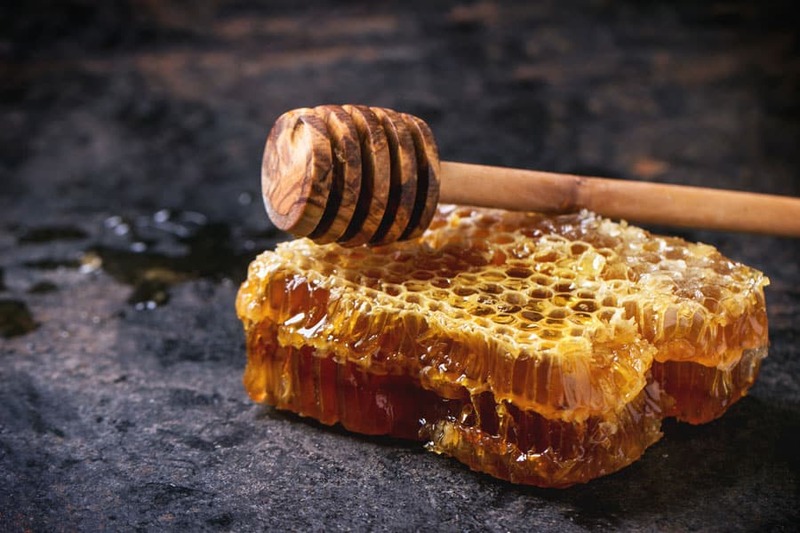 There are so many advantages to being beekeepers: honey, pollination and beeswax to name a few. But becoming a beekeeper has a big learning curve attached to it. So today I wanted to share what I have learned in the past 5 months about beekeeping. I hope this post helps others to avoid some of the pitfalls I fell into this summer. Buy more than one hive: I bought one hive to start with, because that is all I could afford. But it is very hard to see if one hive is doing okay with nothing else to compare it to. Also, if one hive is really producing well, you could give some comb to the lesser hive to help them out. So next year I will be getting atleast one more hive (hopefully more) to alleviate this problem. Get a mentor: There are so many parts and things that could go wrong in a beehive that you really need to have someone that can look at things for you and help you figure out what to do when things go wrong. You can read books and watch YouTube, but nothing compares to having someone show you what to do in real time. Check on the bees regularly: Out of site, out of mind. Our honeybees are out in the back of our property where no one will disturb them. This also means that I haven’t been checking on them as much as I should. They have a water source and they were fine. But I should have opened the hive up more often (about once a month or so) to check on them. It would have made it easier to see when something was wrong. Buy a NUC instead of a package of bees: I bought a package of bees (because it was cheaper) but next year I will be buying several nucs for our new hives. Nucs come with not only the bees and queen, but also honeycomb, pollen and honey inside. This helps the bees have a better chance of producing enough honey for themselves if they don’t have to start from scratch. Use spacers in the boxes: I learned from a friend that you can buy metal spacers to put in the boxes on the sides. The frames sit in the spacers and make them equally spaced through the box. This helps the bees to build uniform combs and makes it look better too. 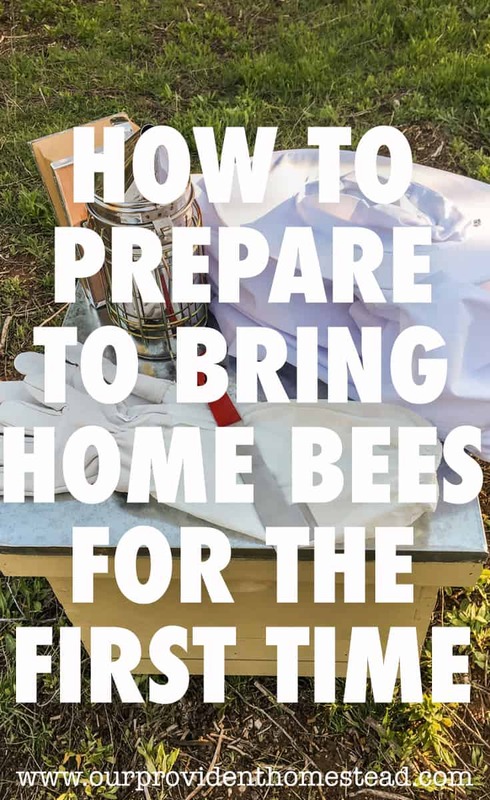 Give them something to start with: As I mentioned above, because I only bought a new hive and bees, my bees had to start from scratch. This made it harder for them to get going in the spring. So next year I will either start with combs already built (if my bees don’t die) or I will buy nucs that already have comb in them to give the bees a jumpstart on the year. Don’t add extra supers too early: One of the things I did wrong was to get into a hurry to put another super on top of the hive. I should have made sure they completely filled the first one before I added another. Now I don’t know if my hive is going to make it through this winter. I had a good friend with many, many years of experience come look at our hive. He doesn’t think the bees have enough comb and honey to sustain themselves through the winter. We added food (sugar water) in the hive for them. Hopefully that will stimulate their production until winter hits and give them extra strength through the cold months. I will be very upset if I lose my honeybees this winter, but I knew it was a possibility when I started. Anytime you start something new, there is always a learning curve. If you have people to help you, you can reduce the risk but it is still there. I share with you what I have learned this summer so that you may not have to learn things the hard way too. If I do lose my bees this winter (I’ll keep you updated), I can start over with the same materials and have some comb for the new bees to start with in the spring. Hopefully this will help them produce more comb and honey for the next season. Even though I am learning what not to do this year, I am really enjoying becoming a beekeeper. These little creatures are so amazing. They are just fun to watch and see what they can all do when they work together. Do you have any beekeeping tips to share? Please let us know in the comments below. And if you found this post helpful, please share. Thanks! We got our bees last weekend! It was so exciting and scary, but we did it. There is more to that story, but first. . .
Why do we want honeybees? Beekeeping is a hobby that has always intrigued me. It looked fun and scary at the same time. We love honey in our house, so that was definitely a factor as well. But mostly, I kept hearing on the tv and internet that the bee population was on the decline. Bees do so much for our food and environment, that I thought I would try to help them. Here is an infographic about all the things that bees do and why it is important to save them. Thanks to beethinking.com for this infographic above. We got a 3 pound package of italian bees for our first hive. We got the bees home and had the hive ready to go. When we opened the package of bees, we looked for the queens’ cage. When we found it, it was empty. The queen was not there. We looked in the box and in the hive where we had already put them. We thought we saw the queen, but we could not collect her. We are hoping that they already ate through the candy to get the queen and that they have accepted her. It has been 4 days since we got the bees, and they have stayed with the hive. Hopefully that means all is well. We will know soon enough. What do we do now to help the honeybees? Plant plants that help the bees. By planting sunflowers, lavender, mint, oregano, rosemary and other bee friendly plants we are helping take care of the bees in our neighborhood. Take care of the bees we have. By becoming beekeepers, we can take care of the bees that are under our supervision. Don’t use insecticides that hurt the bees. Most of the decline of bees comes from the chemicals we are using outside. We need to eliminate these as much as possible for healthy bees. Buy local honey. When you buy local honey, you are usually buying from smaller sources that take care of their bees and don’t use harsh chemicals. This also makes for healthier honey for your family. Buy organic food. Organic food doesn’t use the harmful chemicals that is killing the bees. This is good for the bee population. 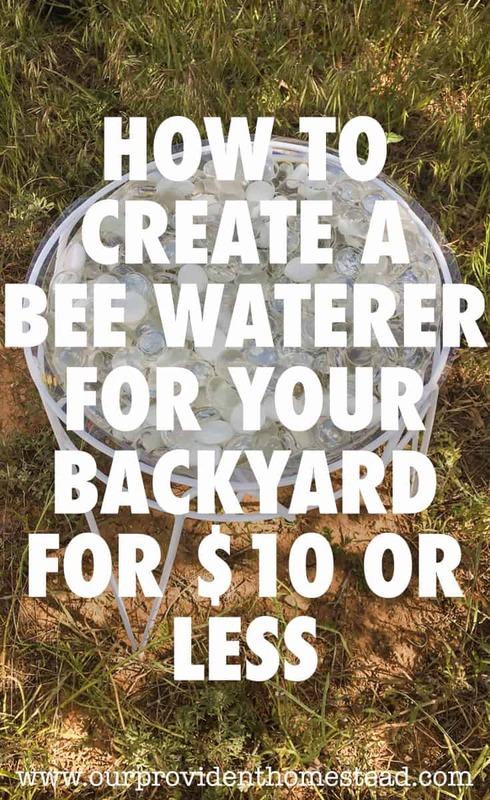 Make a bee watering station in your garden. 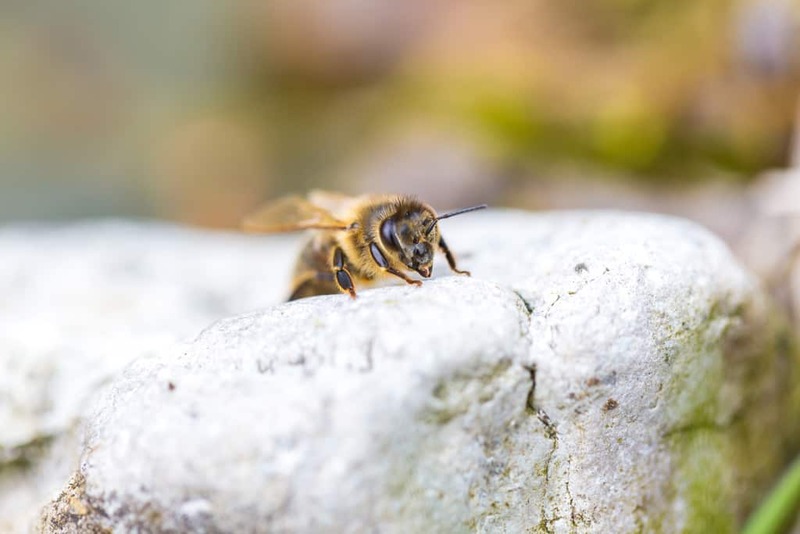 By leaving water for the bees in your garden, they are more likely to come there to rest. That means they will help pollinate your plants. It is a win for everyone. Honeybees are a tiny but important part of our world and environment. Anything we can do to help them thrive in this crazy world is something we should do. I am excited about beekeeping and hope that we can increase our operation each year. 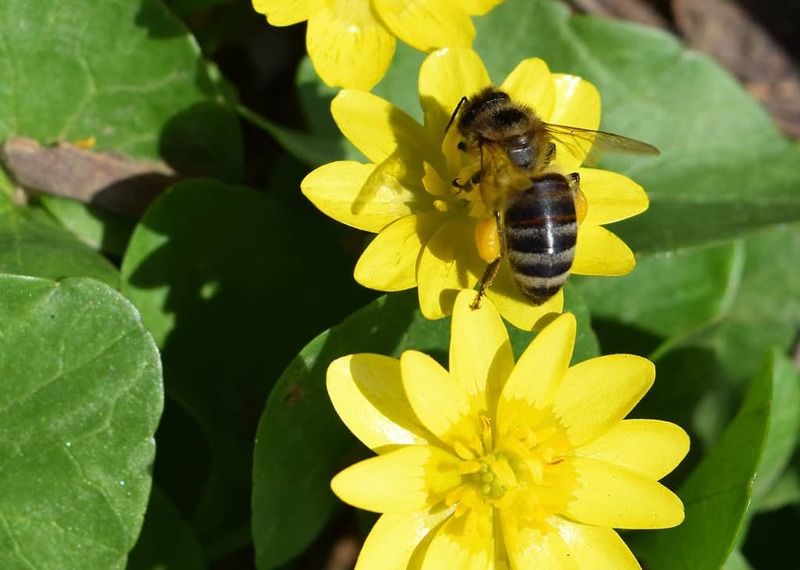 Do you have ideas of how we can help save the honeybees? Please let us know in the comments below. Thanks! One of our goals for our homestead this year was to get bees. It is on our homesteading goals list I wrote at the beginning of the year. As I have been researching bees and what it would cost to start up a hive, I found out one thing: beekeeping is an expensive hobby! Atleast at first, there are many start up costs to beekeeping. Many experts suggest starting several hives at once so you can compare them and see which ones are doing well and which ones aren’t. That is great, but too expensive for this year on our homestead. For that reason, we are starting with one hive and we will add more next spring. How much does it cost to start a beehive? So when I say expensive, what do I mean? For this one hive, it has cost us about $400 so far in set up costs. And that doesn’t include any equipment we will need for extracting honey later or adding more supers. I don’t know about you, but that is expensive in my book! Just to clarify, we bought our hive brand new from our local feed store. If we had made our hives or found a swarm of bees in nature, these costs could have been less. But we have been so busy that these things just weren’t going to happen. Now we know for next year! What kind of hive should I use? The most common kind of hive in North America is the 10 frame Langstroth hive. The queen stays in the bottom boxes of the hive. This is where the honey stays for the bees. The upper boxes are filled later in the summer, and that is where the beekeeper gets the remainder of the honey and beeswax. 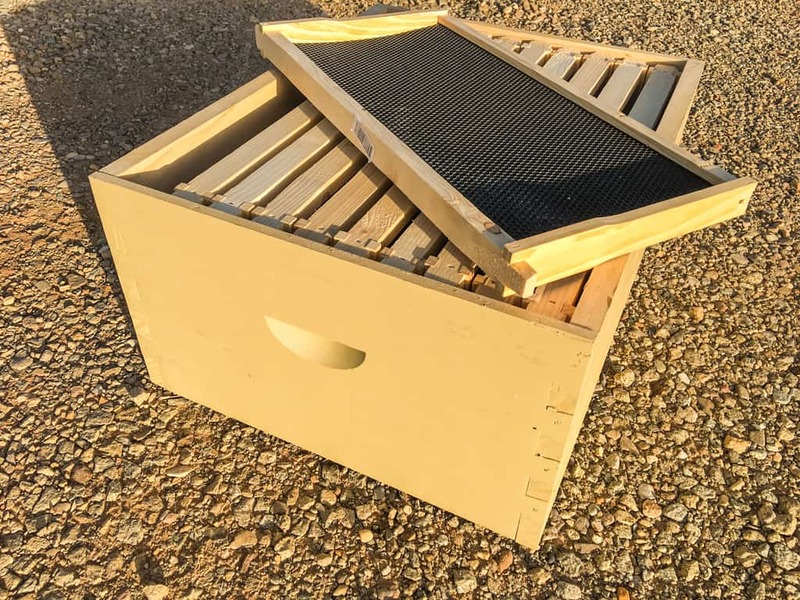 A Warre hive is a vertical top bar hive that is simple to build and easy to use. 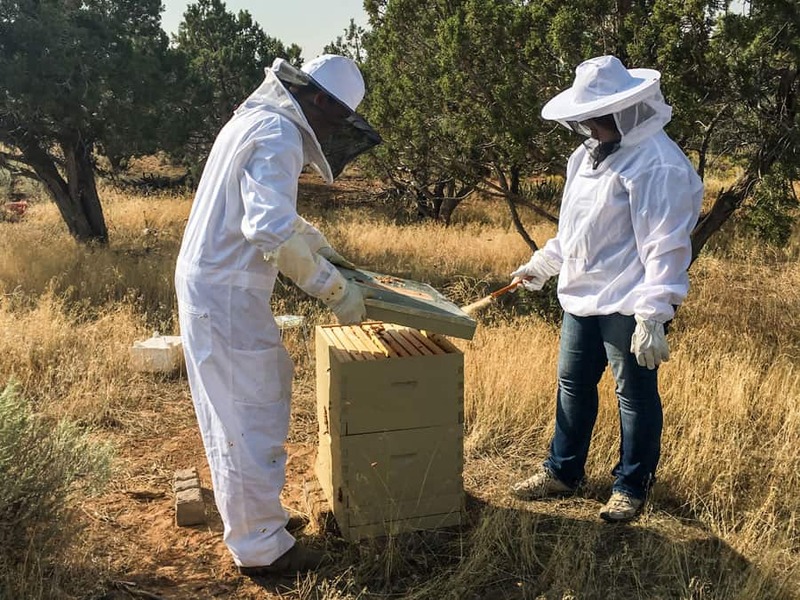 The cost is about one-third to one-fourth the cost of one standard ten frame Langstroth hive. A Warre (pronounced war-ray) hive is simple to manage and maintain. 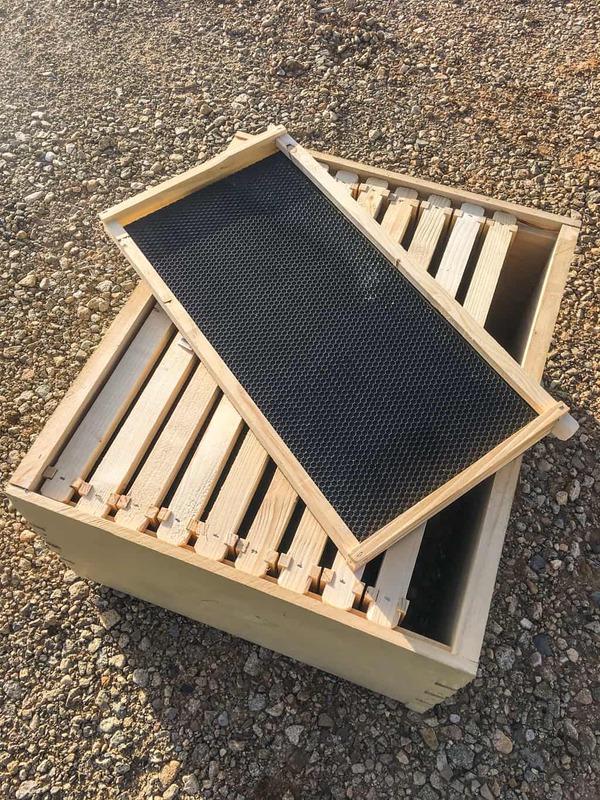 Also known as tiered or supered top bar hives, a vertical top bar hive is such as the Warre hive is friendly to the bees since they are allowed to draw out their own comb. I love the idea behind this hive because I LOVE Mason Jars. Anything to do with mason jars and I am interested! I love the look of this hive and how you can see the honeycomb in the jars from the outside. 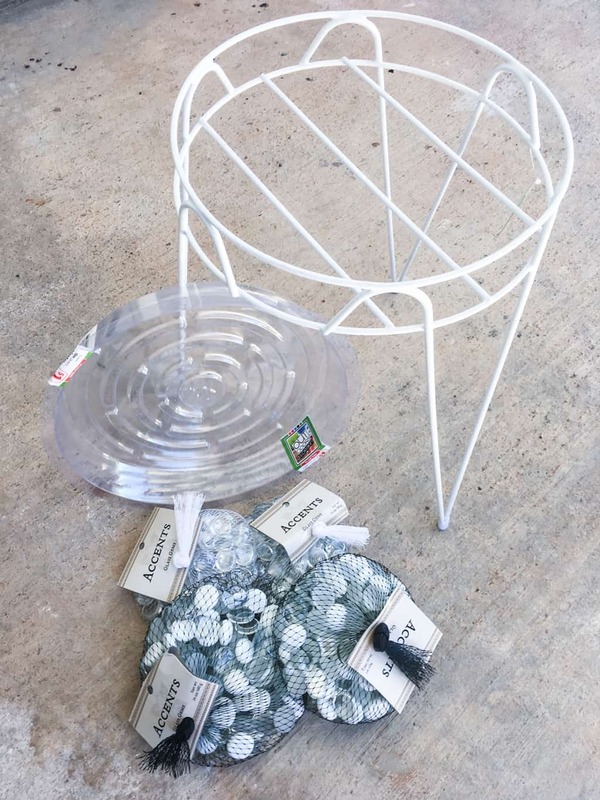 There has been a big buzz (pun intended) about the flow hive. 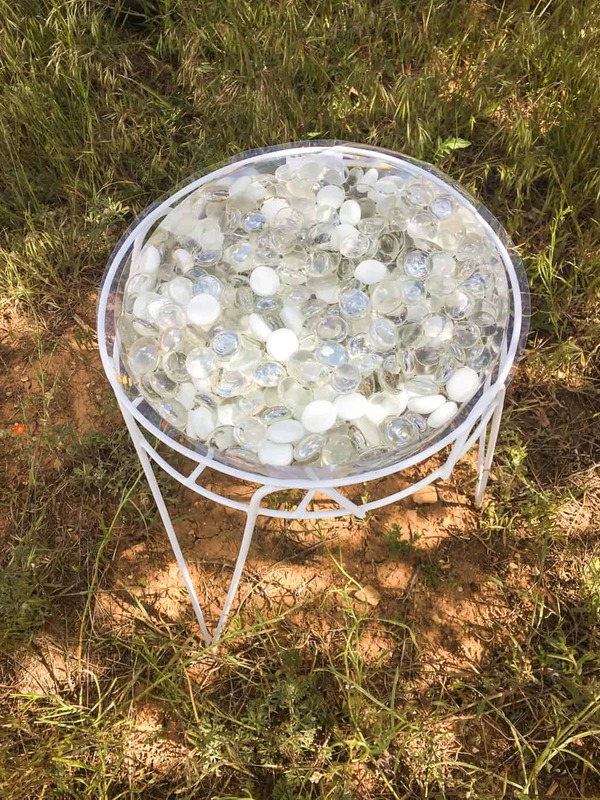 This hive that allows you to extract honey from the hive without opening the hive, has had mounds of controversy surrounding it. On one side, it looks like (from the advertisements) that you can easily get honey from the hive with the push of a button. You don’t have to disturb the hive or bees to do this. Hive parts– Whichever type of hive you choose, you need to get the parts or build it yourself using one of the plans above. You also need to paint the hive to protect it from the outdoor elements. Smoker: A smoker helps relax the bees when you open the hive to inspect it or whenever you are going to be interacting with the hive. Very important in my book as I don’t want to get stung. Hood/veil: This will protect your face and head from bee stings. 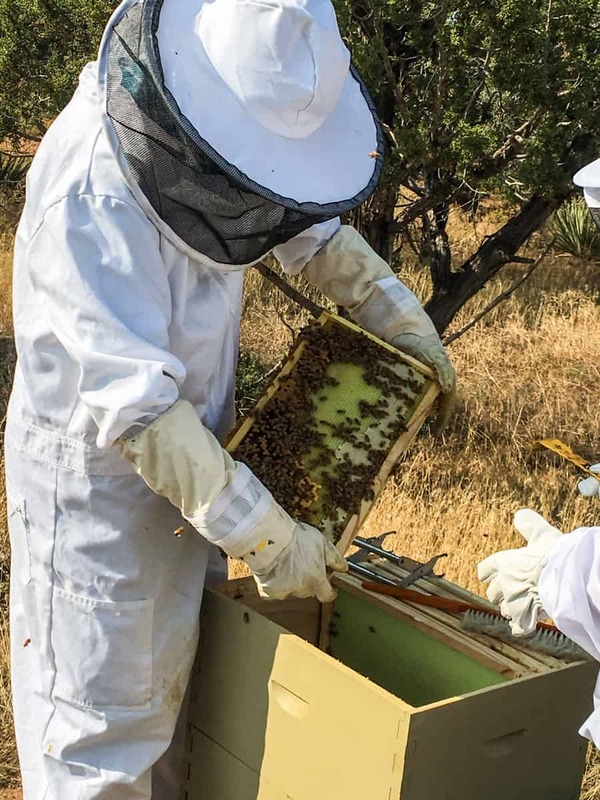 Jacket or suit: You need to be sure your whole body is covered when interacting with the bees to prevent stings. Gloves: These will protect your hands from stings as well. Hive tool: This will help you move hive parts that might otherwise be stuck together. Where do we put the hive? Sunlight: Your hive should get full sun for most of the day. Direction: You should face your hive southeast so that the bees rise early in the morning and begin their work. It will also get the warm sun earlier on a cold day. 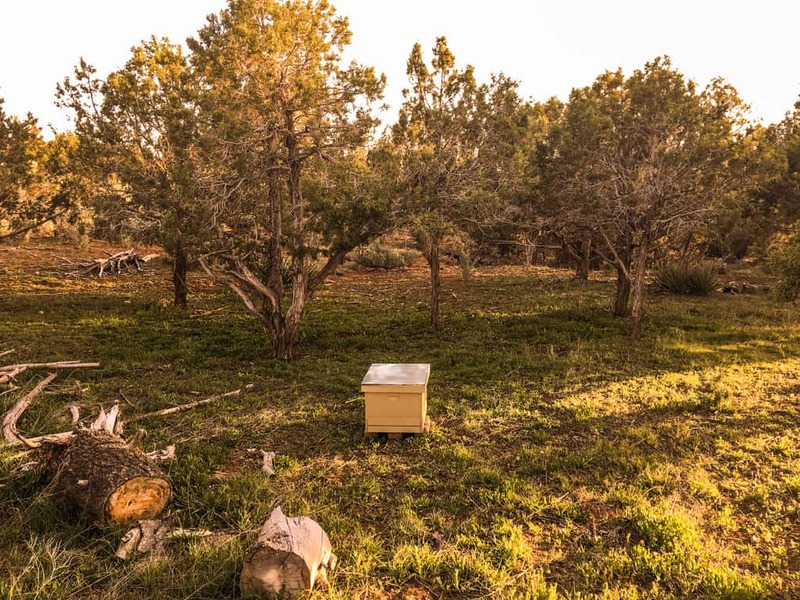 Flat area: Your hive should be on level ground, not on a hill or slope. Traffic: You should not put your hive in a high traffic area. They need space to move and although they won’t intentionally try to bother others, you don’t want them near a walkway, pool or other area where people will be often. 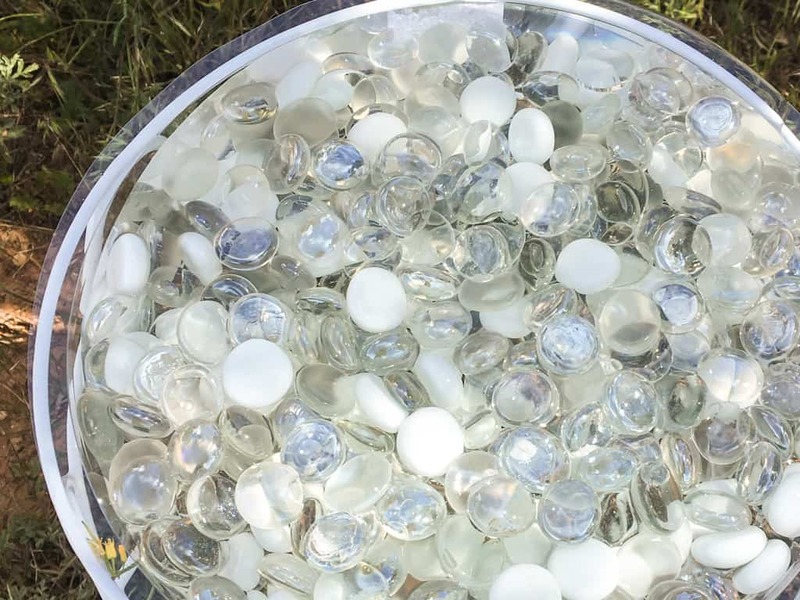 Water source: You should provide a water source for your bees. They can fly several miles for water, but they shouldn’t have to. Leave a chicken waterer, bird bath or other water source nearby and refill it often. Just make sure to add some rocks to the water so that the bees don’t drown. Off the ground: You need to raise you hive up off of the ground. You can do this by putting it up on cinder blocks, wood stand or table. Packages: You can order a package of bees that comes with worker bees and a queen. This is the cheaper and more available way to go, but there is a risk that the workers won’t accept their queen once they get in the hive. 5 Frame Nucs: The frames consist of honeycomb, honey, pollen, baby bees (brood), a queen and enough workers to fill the box. This method is more expensive, but these bees have already been working together and are more established so there is less risk. Complete Hives: You can also buy a complete working hive from a beekeeper. This is the most expensive method but takes on less risk because the hive is already established. We ordered a 3 lb package of bees because it was the cheapest way to go. If we do it again next year, we will probably order a Nuc because it seems better for the bees and easier for the beekeeper. Where do we get help? How do you find answers to your beekeeping questions? 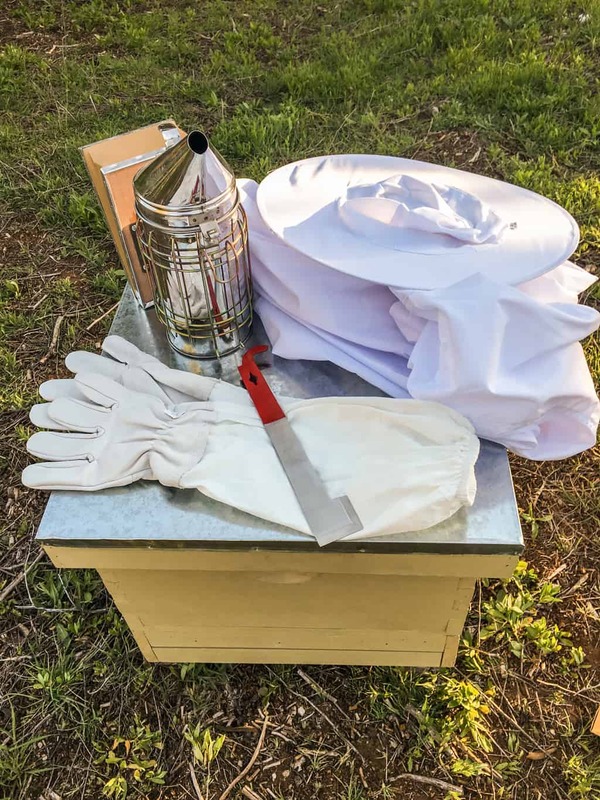 Local Beekeeping Club-search online or with your local county extension office and see if there is a local beekeeping club in your area. This group will be a wealth of information and you may even be able to order bees and hives through them. Mentor-it is always easier to learn something if you have someone to show you how to do it step by step. 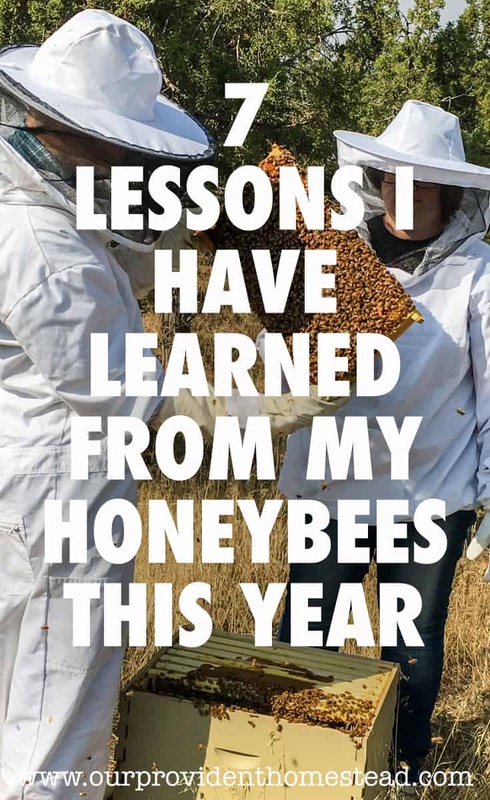 I have recruited a friend that has been beekeeping for several years as a mentor and it has helped me immensely. I am excited about this new beekeeping adventure! Although I am by no means an expert, but I am happy to learn about these amazing creatures. 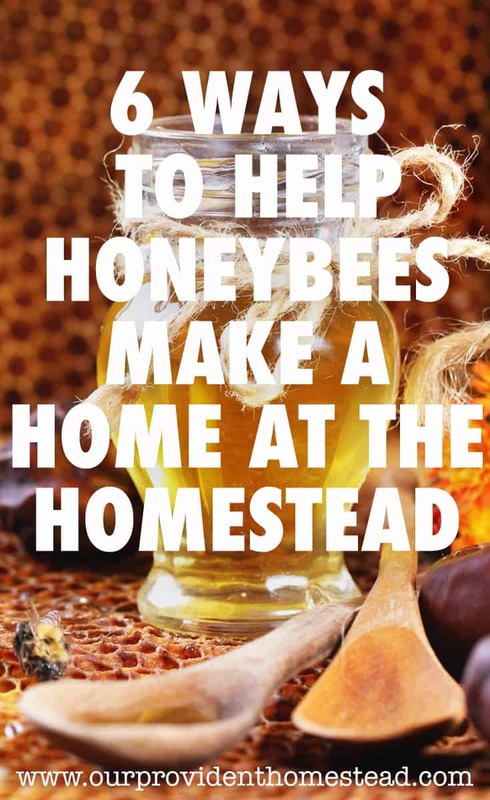 I hope this information helps you decide if beekeeping is right for your homestead. I also want to prepare you for the expenses necessary to get started. Do you have any beekeeping tips or tricks? Please leave us a comment below. Thanks!